Elizabeth Mattis-Namgyel grew up as the daughter of a communist record manager in Santa Monica, yet amid the anarchistic debates at home, she was eaten up by a yearning question: "What should I do with my life?" A vivid dream during her college years inspired her to travel to Nepal where she met her teacher and husband, Dzigar Kongtrul Rinpoche. She became his first Western student. Under his guidance she has studied and practiced Buddhism for more than 25 years. 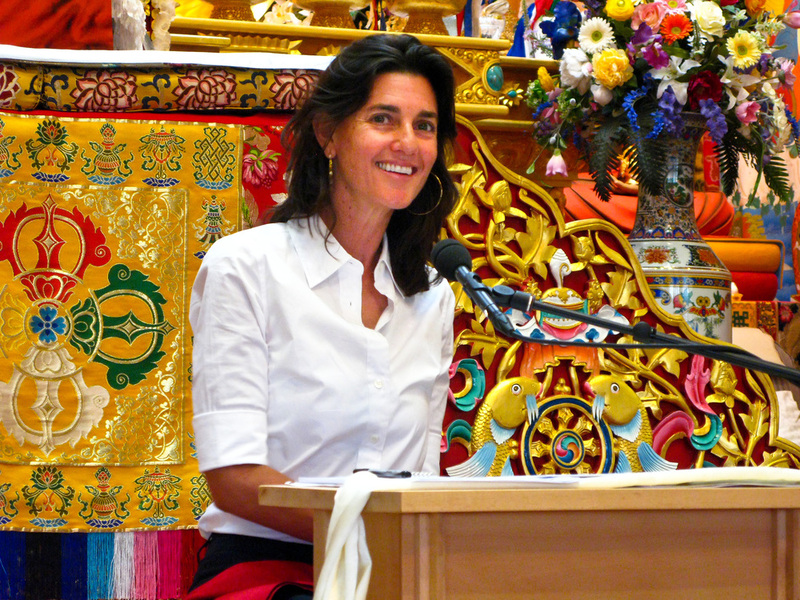 She has been intimately involved with Rinpoche’s work in bringing Buddhist wisdom to the West and is the author of The Power of an Open Question. She spent seven years in solitary retreat in the Rocky Mountains in Colorado while raising her son at the same time. She seems to effortlessly juggle her many commitments as a retreat master, teacher, author, mother, and student, and speaks openly about the challenges of implementing Buddhist practices in a modern world. "It is like an unspoken rule that we don't talk about our doubts or unresolved questions," she says, "and I question that." NEWS: Check out her teaching schedule here. Exclusive Bonus: What does it mean to have a teacher? Read an interview with Elizabeth Mattis-Namgyel by Michaela Haas about the teacher-student-relationship, originally published in View Magazine.